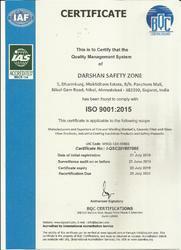 Established in the year 2010, we "Darshan Safety Zone" are well-known organization betrothed in manufacturing, exporting and importing a comprehensive assortment of Welding Cloth, Ceramic Fiber Blanket, Hand Gloves, Welding Tape, Asbestos Roll, Asbestos Rope, Asbestos Yarn, Ceramic Fiber Paper, Ceramic Fiber Rope, Fire Blanket, Webbing Tape, Fiber Cloth, etc. Located at Ahmedabad (Gujarat, India), we are supported by a robust infrastructural base that comprises different departments such as Procuring, Production, Quality Testing, Sales & Marketing and Warehousing & Packaging. All departments function under the direction of an adroit team of professionals to maintain streamline production. The production department is equipped with advanced machinery and equipment in order to produce products as per the defined quality norms. Owing to our ethical business practice, quick delivery, affordable price range and client-oriented approach, we are adding a long list of clients. By following defined quality norms, we make products by utilizing high grade basic material and sophisticated technology. Our product range is highly demanded in various industries due to features such as low thermal conductivity, resistance to thermal shock, heat & chemical resistance and light weight. Also, we provide our products in various sizes, thickness and can be customized as per the precise requirement of clients at reasonable prices. 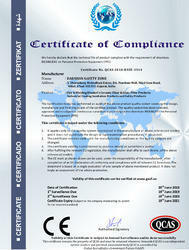 Our highly experienced quality auditors rigorously test the products on defined quality parameters to maintain quality. In addition to this, we conduct important training sessions, workshops and skill development programs for our professionals in order to enhance their skills & knowledge. Backed by a dexterous team of professionals, we have been able to offer a reliable range of products in different specifications. Professionals functioning with us are recruited on the basis of their past experience and skills. Our team comprises procurement agents, quality auditors, packaging experts, storekeepers, sales & marketing representatives, who strive hard to provide maximum satisfaction to clients. To boost skills and market understating of our professionals, we conduct seminars and skill development programs. Our robust infrastructural base is the backbone of our company and helps us to produce products as per the defined quality standards. This infrastructure comprises different departments such as Procuring, Production, Quality Testing, Sales & Marketing and Warehousing & Packaging. The production department is equipped with sophisticated production technology that assists us to produce qualitative products and cater varied requirements of various industries. In our quality testing department, the product range is tested on defined quality parameters. Being a client-centric company, we firmly believe in maximizing the highest level of client satisfaction. By following ethical business policies and offering superior quality products in the market, we have been able to carve out a niche in this domain. For our clients’ convenience, we provide products in different specifications in order to cater their precise requirement in a cost-effective manner. Due to prompt delivery of products, we have gained great admiration across the nation. Renowned for manufacture & supplier of Graphite Coated Fire Blanket, Silica Fabric, Welding Cloth, etc. we have garnered lot of trust from our clients. We provide customized solutions helping us to achieve client satisfaction besides making use of latest technology and high grade raw material.